The Lego Apron Top is a new addition to our moving pieces collection. 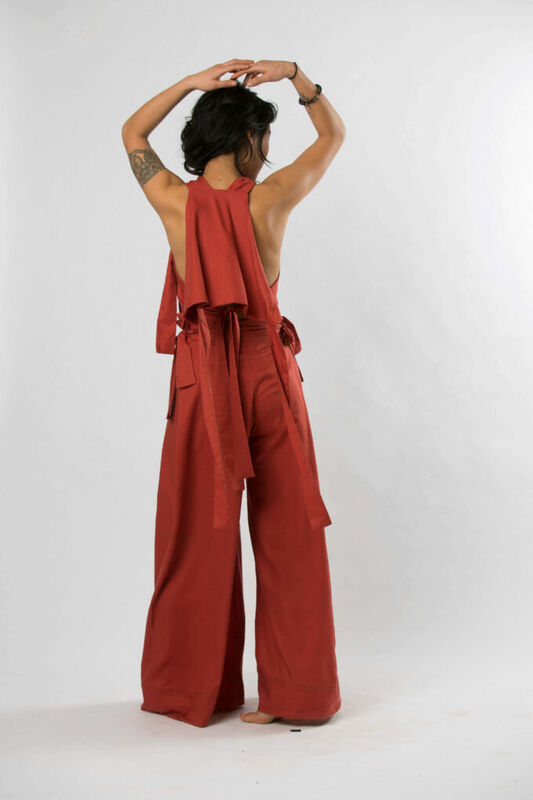 With this collection we wanted to give our customers a chance to become a stylist on their own and be able to wear one garment in at least three different ways. This top can be tied in the front, in the back, and along the sides. The front piece can also be worn on it’s own, by tying up the two halter pieces around the neck and the two around the waist area. 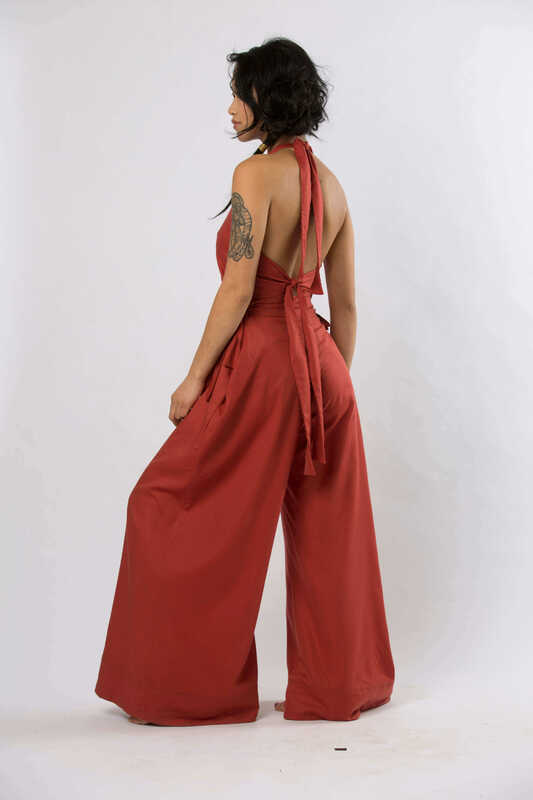 This top comes in five different colors: Black, Navy, Seafoam, Rust, and Cobalt, allowing the wearer to mix and match the Lego Apron Top with our Jade Pipa Wide Leg Pant for a powerful color story. Each top is double sided for extra support and durability.